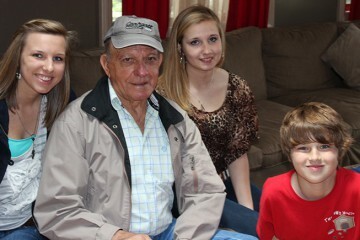 Delano’s Furniture & Mattress Store is family owned and locally operated by Kent and Melissa Fultz. The Delano family has been in the business since 1971 and knows by keeping overhead low; substantial savings can be passed on to each and every customer. Whether you need bunk beds for the kids, a beautiful dining set or decor for your home or office, please do not hesitate to contact Delano’s Furniture & Mattress Store. If we don’t have it in stock, we will find it and place a custom order with any one of our reputable vendors. Our quality is second to none and our prices are the very lowest you will find anywhere! We can literally save you hundreds of dollars on your next furniture or mattress purchase – guaranteed! 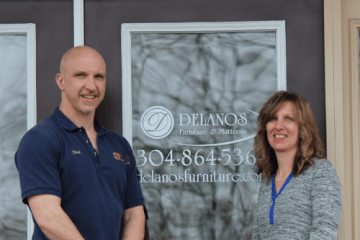 For over 40 years, Delano’s Furniture & Mattress has been known for having a large selection of quality furniture at unbeatable prices, and we proudly carry on that tradition today. Only at Delano’s Furniture & Mattress can you find West Virginia crafted double sided mattresses, made to last reclining sofas, and hassle-free custom designed furniture for your home. Offering big store selection with small town prices: Delano’s Furniture and Mattress.